As our friends at HIRED will attest, finding a good workplace is tough, for both the employee and the employer. Fortunately, when it comes looking for developer talent, Inedo has a bit of an advantage: in addition to being a DevOps products company, we publish The Daily WTF. Not too long ago, I shared a Support Analyst role here and ended up hiring fellow TDWTF Ben Lubar to join the Inedo team. 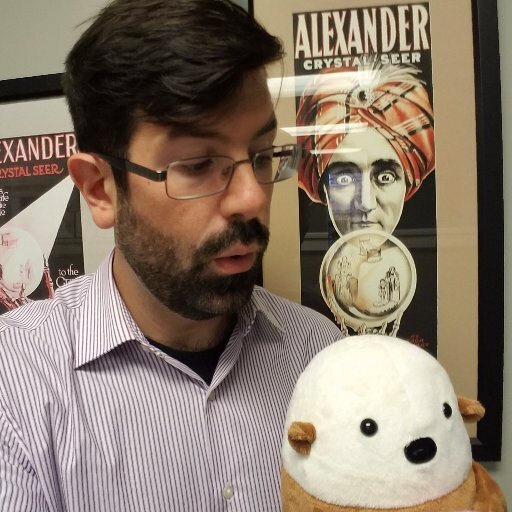 He's often on the front lines, supporting our customer base; but he's also done some interesting dev projects as well (including a Source Gear Vault to Git migration tool). As Stephen A. 's client was walking him through their ASP.NET site, Stephen noticed a rather odd URL scheme. Instead of using the standard Query String -- i.e., http://their.site/Products/?ID=2 -- theirs used some form of URL-rewriting utilizing the "@" symbol in the request name: http://their.site/Products/@ID=2.aspx. Not being an expert on Search Engine Optimization, Stephan had just assumed it had something to do with that.